No, news of Mitt Romney’s alleged prep school misdeeds did not slip past me. I just held off blogging about them while they marinated in my brain. Despite my strong dislike of Romney — with his creepy smile, shameless fear-mongering, and oily pandering to the Republican fringe — my first thought was, “Oh please, no high school dredging.” I couldn’t imagine suffering through almost six months of the candidates debating which one inhaled/cheated on his trig midterm/lied when he said he once won Most Valuable Employee at the Dairy Queen for three consecutive months. Besides, who among us didn’t do things in high school that we now regret? Like most teenagers, I was supremely self-involved, and often a pain in the backside to be around. So I figured, how unusual could Romney’s behavior have been? Then I read the details… and his response from the protective bosom of Fox News. Hijinks? Seriously? 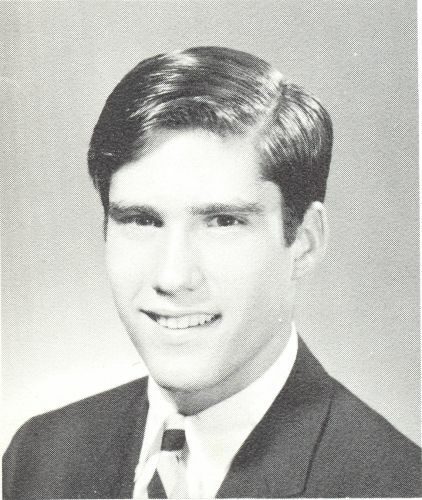 Five former classmates at the posh Cranbrook School say Romney was incensed by the long blonde hair of John Lauber — a frequent target of bullying because of his non-conforming ways and assumed homosexuality. Romney would eventually lead a “posse” to corner him, pin him to the ground, and cut his hair while he cried and pleaded for help. If this was just madcap Romney horseplay, what precisely constitutes bullying? Mitt Romney has emphasized that he doesn’t even remember the event, which is absurd. I wasn’t a bully, but I can recall specific instances when I failed to defend someone who was marginalized and vulnerable, in the Lord-of-the-Flies world of high school. In fact, they are so fresh in my mind they could have happened yesterday. And let me tell you, they still make me cringe. So either Romney’s cruel bullying was an anomaly — and he’s lying through his teeth about not remembering because he really wants to be the next President – or he has a hard time keeping his many acts of thuggishness straight. This was the 1960’s, Mr. Romney, not the 1560’s. What are we supposed to believe, that you just thought the poor kid needed a trim? I don’t think there’s anything Mitt Romney could do that could compel me to vote for him, but I would have respected him more if he’d admitted his mistakes, shown sincere remorse, and spoken out against bullying. Instead he treated it like a joke. But most of us aren’t laughing. Way to go Kim. You have a knack for writitng exactly what I think. And boy am I glad I don’t have any desire to run for office. Dredging the Housatonic would be no fun. Thanks. Yep, that’s why I had empathy for Romney at first. I mean, who would be unscathed by reporters dredging up our teenage past? But this was really Grade 1 bullying. If his reaction had been something like, “This is one of the biggest regrets of my youth, it has haunted me for years. I was a complete bullying jerk and I am so sorry,” I think it would have been a non-story. I think his reaction supports accusations that he’s heartless (Bain Capital and his general demeanor) and out of touch (since he still seems to have no empathy for the victim).